Games on Android and have become quite sophisticated with the likes of Riptide GP2, Prince of Persia, Injustice: Gods Among Us, Need for Speed, Modern Combat 4 and every bodies favorite FIFA 14. Though playing with the touch controls on any device, does not just cut it for seasoned gamers. They prefer the solid grip of a controller, mashing away at the buttons to strike the final blow to your enemy or shoot a goal in those dying minutes. A game pad is a gamers companion, hell people owning desktops play with a controller. Samsung have heard the cry of gamers from all around the world and recently came up with the Samsung Game Pad, so now even serious gamers can play to their hearts content. 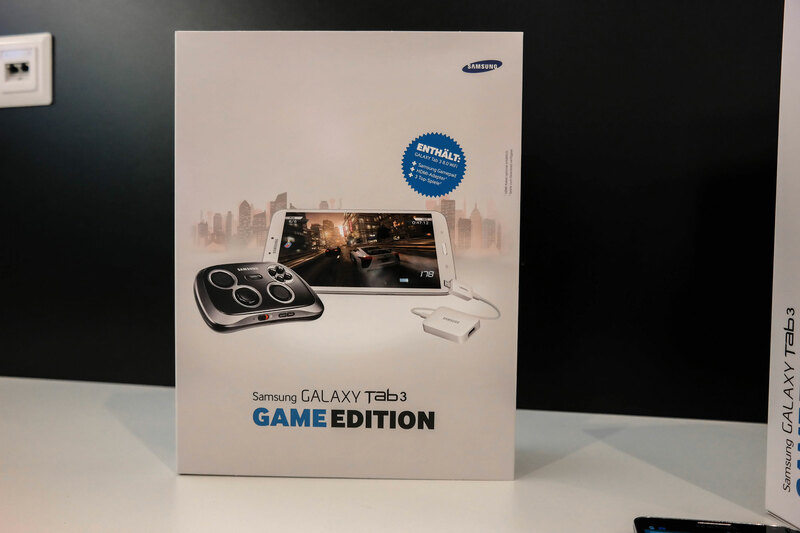 The new “Game Edition” of the Samsung Galaxy Tab 3 8.0 will be shipped with the Samsung Game Pad, and a HDMI adapter so that you can connect the Tab 3 with your TV. The Game Pad works wirelessly via Bluetooth, so you can sit back and enjoy playing a game of football on your Big TV screen. The Galaxy Tab 3 8.0 “Game Edition” will be the Wifi Variant, sporting an Exynos 4212 1.5 GHz Dual-Core processor with 1.5GB of RAM and a Mali-400MP GPU. So playing heavy games smoothly, and without any lag will not be a problem. The Tab 3 come built in with 16/32GB internal storage as well (not confirmed as to which will come in the deal). Nevertheless the device has plenty of memory to store all your favorite games. So any of you gamers out there will be getting an Early New Years Present for themselves?